Bahria Orchard Rawalpindi. Cheap Commercial Plots in Bahria Town near Theme Park Phase 8 Rawalpindi. 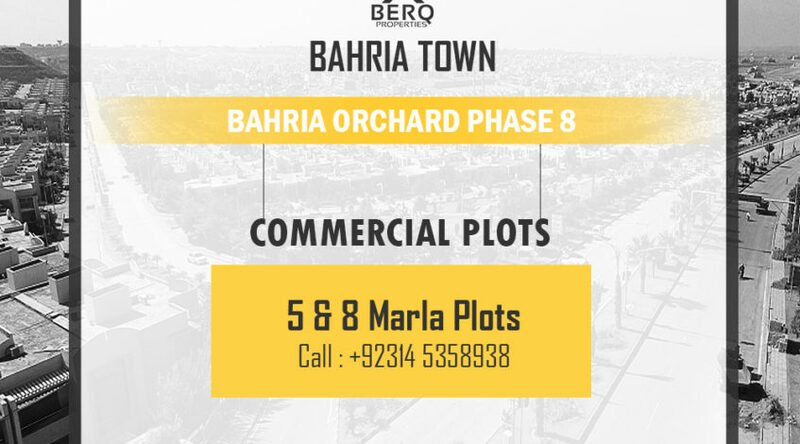 Bahria Orchard is the latest project of Bahria Town in Rawalpindi. It is the star project of Bahria Town. The commercial plot in this project is the new hot thing in the town. Commercial Plots in this project are available at very reasonable price and that too on easy installments. The future Ring Road of Rawalpindi will pass just behind this project, this will result in a huge number of visitors passing through Bahria Orchard meaning more commercial activity. For this reason, commercial plots in Bahria Orchard are a big yes.